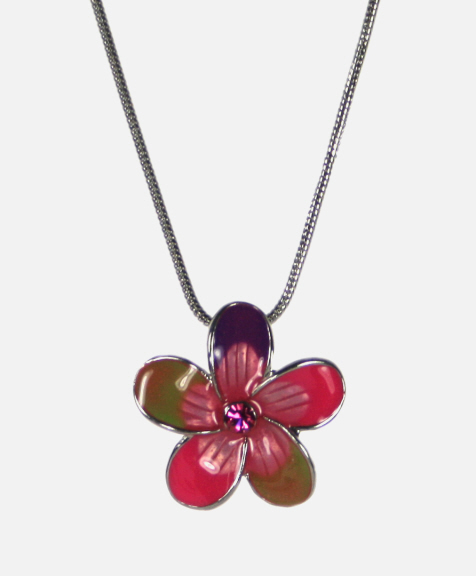 Pretty enamel flower necklace in bright pink, green, red and purple with a rounded petal design on a smooth snake chain. In the centre of this attractive pendant lies three pink diamante, a finishing touch to this colourful accessory. Adjustable chain, 16" to 18" length. Pretty oranges, greens, reds and purples on this small enamelled flower necklace.